Are you sure that your clothes are kept neatly and safely in the cupboard, we suggest you check your cupboard once to make sure there is no fungus in your clothes? Mold can easily grow on clothes and fabric if you have too much moisture in your home. Clothes made of cotton or other organic materials make great food sources for mold and mildew to live on. How to get rid of fungus and that strange odor from your clothes? don't worry we have few tips for you. Sun Light: Sunlight is the natural source of power and it also helps us drying our clothes but here is another gift from nature. Leave your clothes in the open when the sun is out. This will remove all the moisture from them. Also, let the sun come in as much as possible; once in a while, open your doors and windows on a sunny day--this will not only act as a natural disinfectant but will also remove the musty smell from your house. Silica gel: People keep silica gel pouches in their cupboards or between clothes. Silica soaks up the moisture and does not allow the fungus to grow on clothes. Vinegar: Wash your clothes with vinegar. 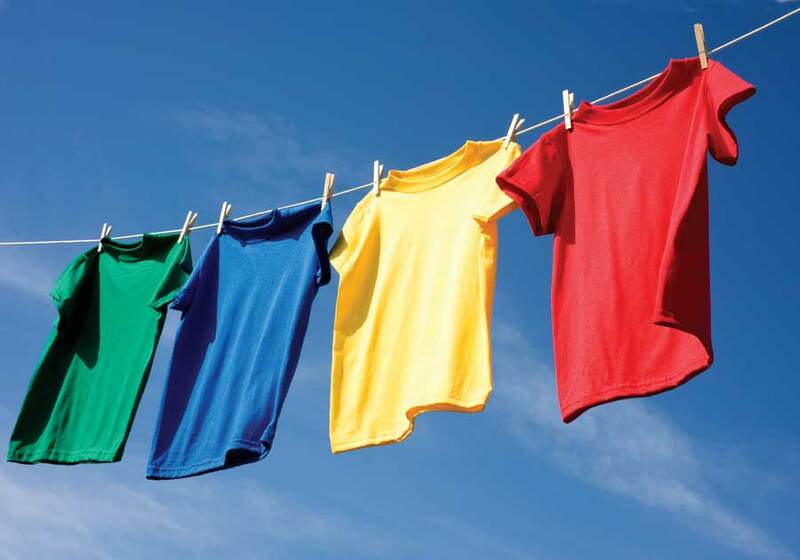 Add 3/4 cup white vinegar to a load of wash and soak your clothes in the mixture. Vinegar will remove the mold patches AND the musty smell. Lemon and salt: Combine lemon juice and salt to make a thick paste and rub it into fungi-infested areas on clothing; wash and dry. Hot water: This is the best way to kill mold spores, or if you have a sanitize/germ-kill setting on your washing machine, use it. Borax: This water-soluble mineral is also a natural mold-killer, which you can buy as a detergent or in powder form. If you get it as a powder, mix with water as per the instructions on the label. Neem: Putting a few arcs of neem stems with leaves attached in your clothes will keep the fungus away from your clothes. Light bulb: If possible, install a low-voltage bulb inside your cupboard. It helps generate mild heat, which keeps bacteria and moisture at bay.